Last Sunday, I had the opportunity to assist the very talented Violet Vella who was taking part in the Top Model Worldwide Malta competition, as a Make Up Artist! Violet is the first Make Up Teacher I had. It is thanks to her that I know many tricks about Make Up! I absolutely enjoyed every second of this event and I really enjoyed watching Violet do her magic! The Make Up was done for an awesome up and coming Designer, Maria Mallia who was showcasing her collection at this event! 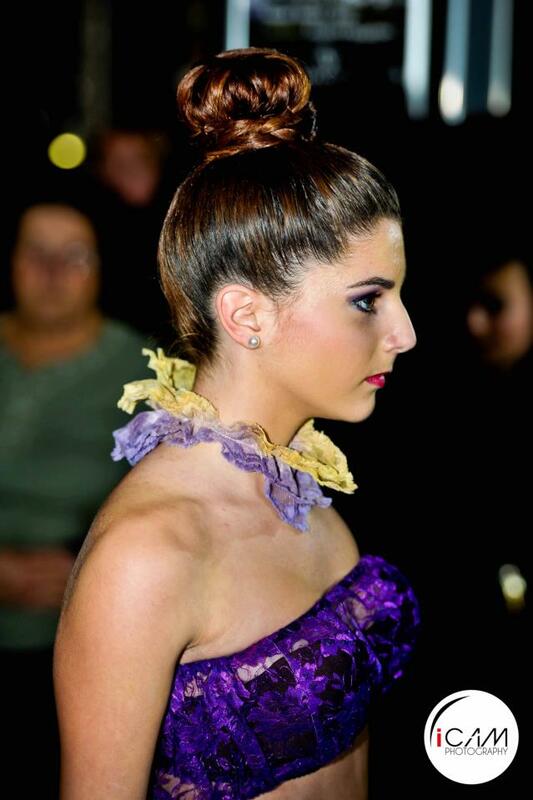 The beautiful up dos you see here were done by Glynnis Cilia! 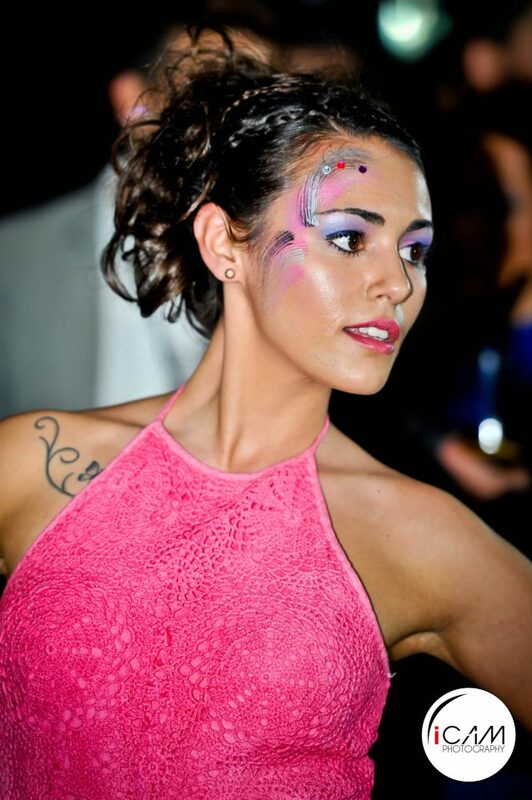 Violet also applied make up on one of the competitors, Oana Bonta for the night! Stay tuned for our post on eve.com.mt for more information about this event! 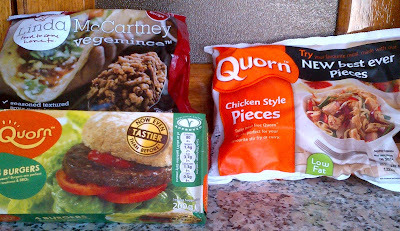 As always, when I hear about a new diet, I have to try it...So, last week I was browsing on Facebook, when I came across a post by a Beauty Salon here in Malta called Glam Health and Beauty about HCG diet and so I made some research on it and I liked what I saw, so yesterday I went to buy it and I'm starting it today! First of all, HCG stands for human chorionic gonadotropin, which is the hormone that Simeons discovered in pregnant women. The HCG diet was discovered quite by accident by Doctor A.T.W. Simeons over 50 years ago as he worked to cure malnutrition in underdeveloped villages . . While observing healthy women during their pregnancy, he noticed that as soon as the child was born, the health of the mother began to deteriorate. There had to be a reason and this is when HCG was discovered. This naturally occurring hormone is created by the body to nourish and protect the fetus by taking the stored fat reserves and changing to nutrition for the placenta. If this new discovery could actually drain fat cells and transform to positive natural energy, it might actually help people with obesity. These are real HCG results from lady at the salon I bought the kit from! There are three different types of fat found in the body. Structural fat is found nestled between the skin and organs and is necessary as a protective layer. Normal reserve fat is the layer that supplies the body with energy when calorie intake is too low. The abnormal fat is what forms as extra fat in hips, waist, thighs and buttocks and is not used for anything. This is the only fat that is consumed by HCG. Many ask why a low calorie diet would not lead to the same results. The facts are simple. By starving your body of protein and vitamins, it will take whatever is needed from any type of fat, including structural and normal reserve fats. This is why once you stop a low calorie diet, not only are lean muscles destroyed but the weight comes back with a vengeance as abnormal fat. Therefore, nothing was really accomplished except for redistributing the fat. There are 2 ways of doing the HCG diet; injections or drops. I'm doing the 26 day drops version which costs € 80.00. There is also the 40 day version which costs € 120.00. 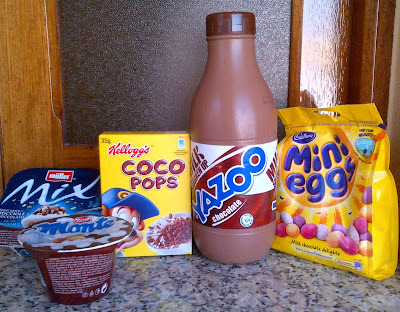 I'm currently on phase 1 of the diet, so will explain about the other phases when I get there. 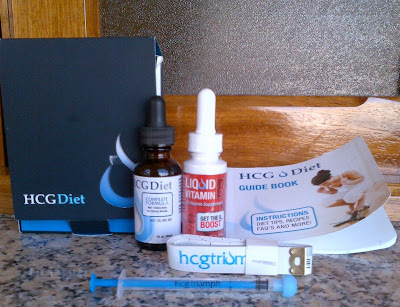 This is the whole kit for the dietm which contains the HCG drops, which I have to apply with the given syringe 3 times a day before meals under my tonguem vitamin drops, an inch tape and a guide book. 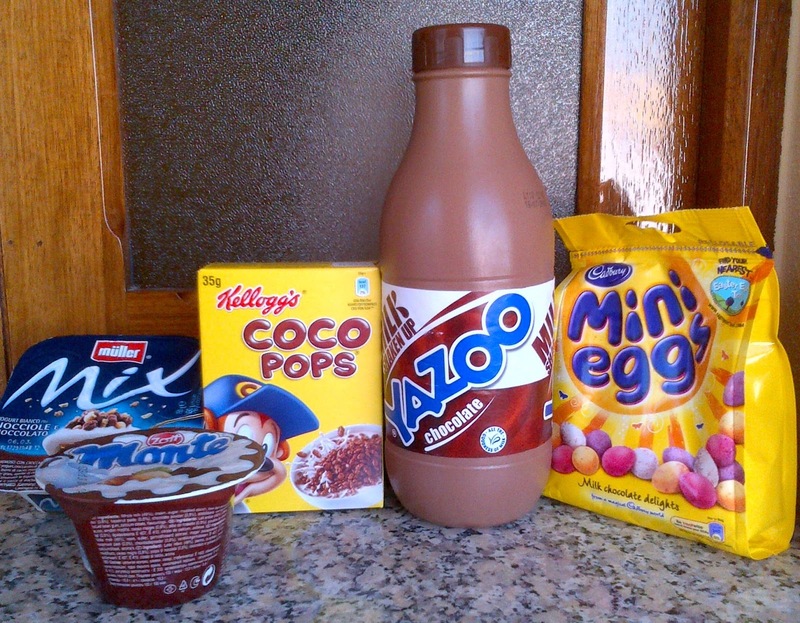 I have to start the diet with a 2-day fat loading phase. I still have to take the drops 3 times in a day, but I have to eat full portion servigs of high fat food... sound good , right ? They recommend dairy , nuts and seeds,avocados etc. The books says that it's important not to skip this step. Apparently, this step is crucial, because the loading phase stocks normal fat cells and prepares the body to burn abnormal fat, resultin in fast weight loss. Then, from day 3 to day 26, I have to follow a strict 500 calorie diet, consisting of x 2 100g protein and vegetables, 2 pieces of fruit and 2 bread sticks as snacks. One may also have green tea and/or tea and/or coffee with stevia. Do you think there's enough fat in there ?? haha. .
Will let you know about my progress!! I visited Make Up Store again since I am waiting to get my hands on the 'M' Magazine! Since I am trying out different products, I decided to try out their Nail Polish range this time round! I was lucky to find Carlos at work and asked him to recommend some colours! Carlos showed me a new nail polish concept created by Make Up Store, the Holographic nail polish, which give the nails a 3-D effect! I also got one of the nail polishes from the Matt/Glossy range. I will be trying out these nail polishes in the coming days and will be reviewing them shortly! So this weekend I had one of my closest friend's birthday and decided to go a bit out of my comfort zone as I am trying to experiment with different styles and pushing myself to try out new things such as pairing different colours together which I normally would have not paired together before. Yes, I may have done it on a minimal basis, but I decided to mix two bright colours together. I knew mustard and green did go well together but I always played it safe with colours! I also went a bit risky with my make up, since I don't usually wear Green eye make up with these particular colours! Apart from that, I also paired a dark eye look with dark lips, something I also usually shy away from! Have you tried pairing up two bright colours? Happy Friday!! Like every Friday we bring you a collection of pins that have caught our eye over this past week! Don't forget to check out this week's pins HERE and also follow us on Pinterest! Gorgeous Make Up at LFW! Loving this blue Smoky eye! Copper, Gold and Brown Goodness! Great article to shave less! Go to the original pin! Ok,this is really for kids when sending them on a time out, but this is a really cute idea! Watch the glitter calm down to help you calm down! Cute! Hope you liked this week's pins!! 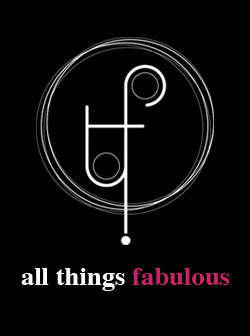 So I have been eyeing this new Jewellery brand that has been hitting Malta by storm for quite a while. "Founded by Krystle Penza; Mvintage is a costume jewelry collection characterized by modern yet classy vintage designs, clean cuts and infusion of rich colour. Krystle also creates jewelry that is handmade in Malta by talented crafts women and offers customization services, giving everyone the opportunity to realize his or her own designs. She creates wearable art with a focus on timeless beauty. Each piece is very carefully designed and handcrafted for the special woman who will wear it. The name Mvintage is an abbreviation of ‘I am Vintage’; this was inspired by Krystle’s own personal style, dedicated to all those that like her love vintage and want to make a statement about their style." A number of Mvintage pieces are very statement pieces, especially their necklace range! Here are some of my favourite pieces! There are so many more awesome pieces, it was actually quite hard to narrow down a few!! I also had the opportunity to purchase a really cute Rose Collar, which you can purchase HERE. Kry was very kind to send me these earrings since there was a Valentine's offer! I really encourage you to visit their site, like their facebook page and follow them on pinterest! 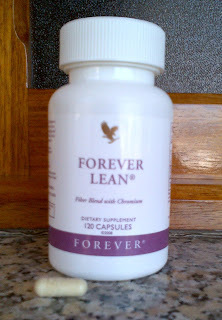 Today, I'm writing another post about another Forever Living weight loss product. Forever Lean contains 120 capsules which contain 3 effective ingredients that reduce the body's absorption of calories from fat and carbs. The 1st ingredient is Indian fig extract, which helps bind fats. The 2nd ingredient is the protein which is derived from the Phaseolus Vulgaris plant, otherwise known as white kidney beans. This protein works by slowing the body's absorption of sugar in the small intestine by temporarily inhibiting the enzyme activity that converts starches into sugar. The 3rd ingredient is Chromium Trichloride, which is a trace mineral that helps the body's natural ability to regulate blood sugar by acting as a GTF (glucose tolerant co factor), therefore helping the metabolism. These pills have to be taken right before eating and up to 4 pills a day. Guys, needless to say, like any other weight loss product out there, to maximise the effectiveness of this supplement, you shouldn't be eating junk all day long! So a few months ago I had done a Bohemian Chic photo shoot, check it out HERE. 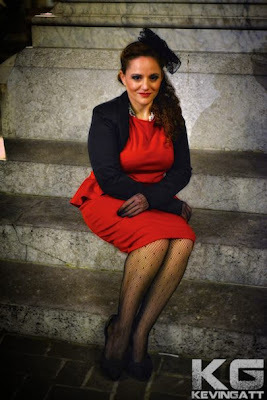 This time round, we decided to go for an evening photo shoot inspired by 1940s Hollywood Starlets! I would like to thank my friend Deborah for being our stunning model! 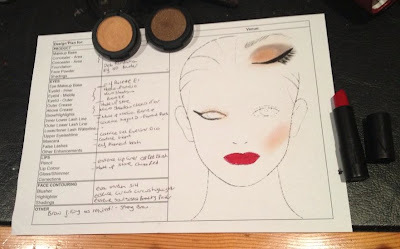 For the make-up I decided to go with a Golden/ Brown Natural Eye colour with a sizzling Red Lip! Check out my Face Chart showing all the products I used on Deborah and the final make up below! I specifically bought the eyeshadows and lipstick which were in one of my first Make Up Store hauls for this shoot! I also took a few photos of the photographers; Matthew and Kevin in action and decided to play about with some of my camera's settings! Finally, the finished product!! I would like to thank Kevin Gatt for the fabulous pictures! I hope you liked this post! 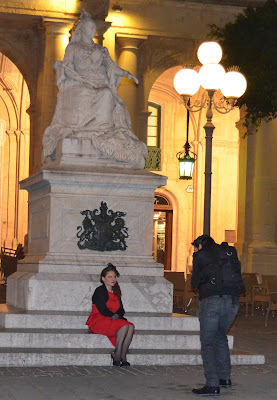 We truly enjoyed planning this photo shoot and shooting these pictures at night! !